If you and your sweetheart are dreaming of a romantic vacation, then these must-visit travel destinations in California will get your hearts racing with enthusiasm. From wine tasting in Napa Valley to indulging in delectable pastries in Solvang, featured here are 5 fabulous places to visit in Fall. Carmel-by-the-Sea: Renowned for its quaint European-style village, filled with charming eateries, art galleries, and boutiques, Carmel-by-the-Sea is one of the best places to visit in Fall because the weather is idyllic, the sunsets are magnificent, and there’s a plethora of activities to do and places to go. From strolling along Carmel Beach to dining at one of the many romantic restaurants (like Il Tegamino, Casanova, or Mission Ranch), you and your significant other will feel like you’re on a honeymoon when you visit Carmel-by-the-Sea in Central California. Solvang: Do you have a sweet tooth? If you enjoy sampling a variety of desserts, then head to Solvang. This adorable Danish village (located in the Santa Ynez Valley) is chock full of bakeries that will satisfy every hankering for sweets that your heart could desire. 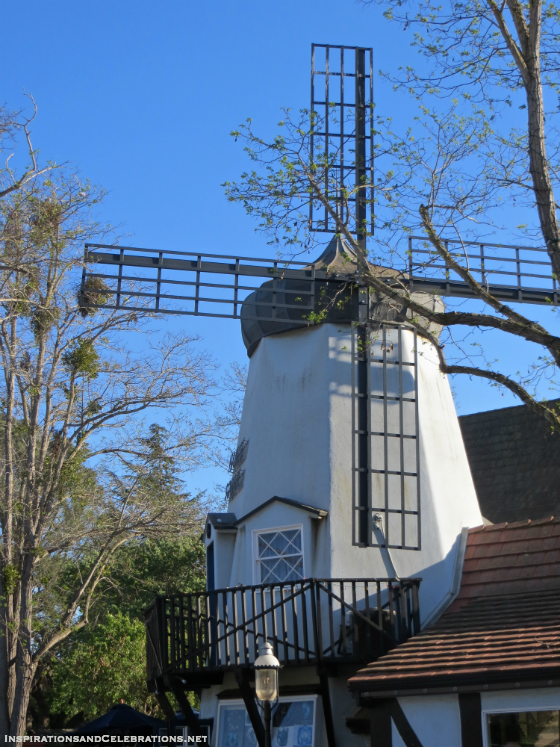 Not to mention, the traditional architecture and decor make Solvang even sweeter to visit. 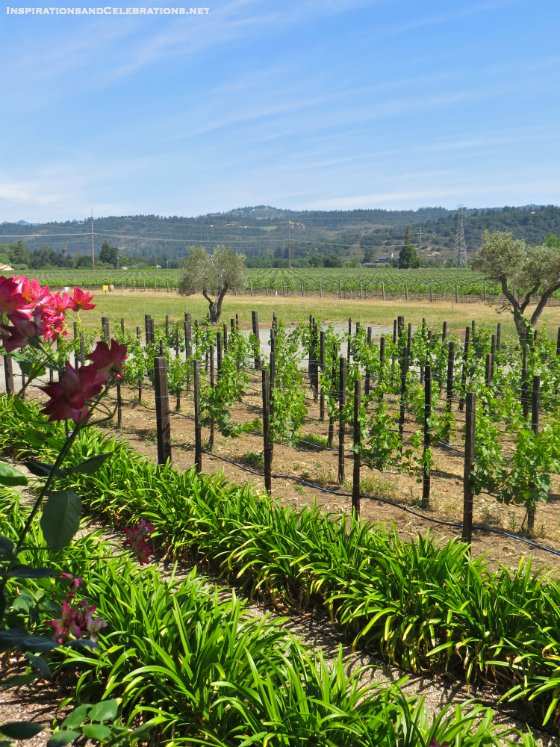 Napa Valley: Does the idea of wine tasting with your significant other sound like a dream vacation? 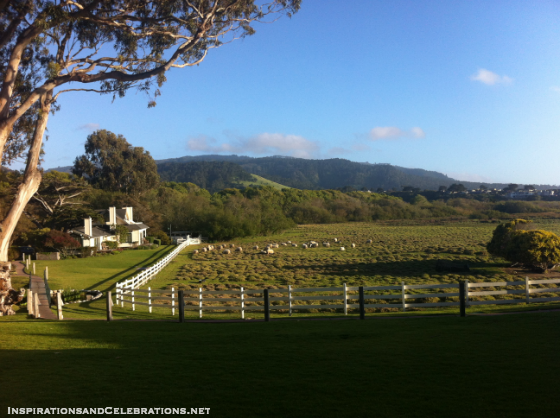 Then the Napa Valley is the ultimate place for you and your honey to travel to. 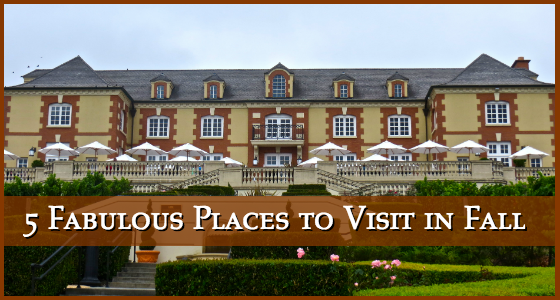 From hot air balloon rides and world class restaurants (like the French Laundry) to award-winning wineries (like Domaine Carneros), Napa Valley is one of the most incredible places to visit in Fall. During the harvest season, you can attend winemaker dinners, grape-stomping parties, and exclusive wine tastings. Plus, the weather is still beautiful and the foliage is a gorgeous sight to behold. Santa Barbara: From casual beach strolls to luxuriating spas, Santa Barbara is one of the best places to visit in Fall. Whether you head to the exclusive, celebrity-studded Coral Casino Beach & Cabana Club for a dip in the pool, or you prefer to indulge in a relaxing spa treatment at the Bacara Resort, the picturesque Santa Barbara offers something for everyone. Just a short drive north from Los Angeles, this Southern California destination spot is a great weekend getaway for L.A. residents. 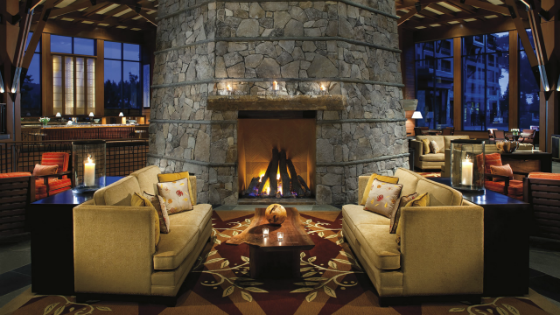 Lake Tahoe: From cozying up in front of a roaring fire at the luxurious Ritz-Carlton to low-key dining with a lakeside view (at Jake’s On The Lake), Lake Tahoe is a fabulous place to head during Fall. Whether you’re an activity-oriented couple that loves to take hikes and go bicycle-riding, or you prefer to keep things casual and relaxing, Lake Tahoe is a must-visit place when traveling through California. For more fabulous travel tips and ideas, check out the Inspirations & Celebrations’ Travel Section. They’re definitely romantic trips to take!